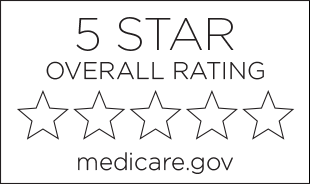 5 out of 5 stars from the Centers for Medicare and Medicaid Services ranking system. Click here to see photos of our activities and our facility. Colonial Haven Care & Rehabilitation Center is a 97-bed skilled nursing home located in Greensboro, Alabama. Colonial Haven was founded in 1953 in the 1860 home of the president of Southern University as Greensboro Nursing Home. Our dedicated staff provides rehabilitation services and around the clock skilled care in a comfortable and friendly environment. Short-term & post-hospital rehabilitation services are offered at Colonial Haven Care & Rehabilitation Center. Our nursing department provides excellent care combined with dignity for our residents. We give your loved one comfort and around the clock specialized care. Our entire rehabilitation team is committed to creating individualized therapy programs using task-directed activities in the treatment of our residents. 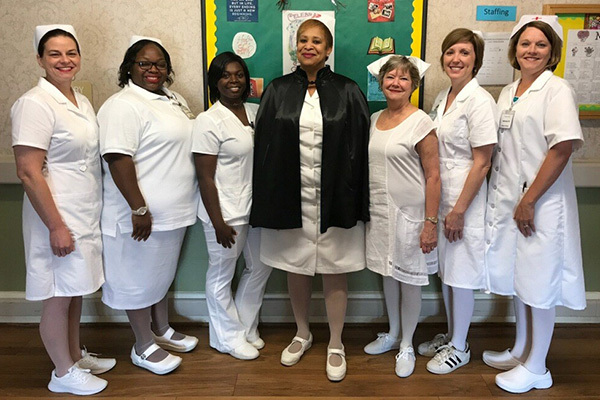 Colonial Haven Care & Rehabilitation Center employs outgoing and friendly professional staff to create social programs and activities to enrich the lives of our residents’ while in our care. We maintain contact and open communication between the skilled nursing home, families and the residents to help in the care planning and discharge planning for each resident. Our staff provides the family atmosphere you are seeking for your loved one. We take the extra time and attention needed to achieve your maximum potential.